I was born into a family that highly appreciates feminism- our parents always taught us- me and my sisters- not to rely on others, especially once we’re older. They always tried to implement the importance of being independent, standing on your own feet, almost being a matriarch one day. Needless to say, being a stay- at- home mom was out of the question. As I grew older, I began to discover my passion towards creating things, whether it’s drawing still life, writing a short story or sewing a new dress. Being the stubborn girl I was, reality hit me hard when my application to a fashion design school was rejected. I tried again with another school- another failure, same story. I knew that’s what I wanted to do, what I needed to do- to create things. As I started getting desperate, a friend of mine approached me with a completely different idea- why not try with designing eco- related objects, dumpsters in particular? He was new in the field at the time but extremely passionate about it. At first I thought he was joking. I had no interest in dumpsters whatsoever, in fact, I knew absolutely nothing about them. To be honest, I was never the greenest person you could imagine, and he knew that, which confused me even more. However, the more I thought about the idea, the more it intrigued me. How hard is it to make a dumpster design sketch, what does a dumpster exactly look like? Where do you use the large ones, and where the small ones? What are they made of? I had to educate myself first. Still not considering it seriously as a future job or hobby, I started to investigate. As I got into it, I realized how strong environmental awareness is in the 21st century. I realized there’s a developing market that could allow me to mix business with creativity. Moreover, I had this newly discovered passion regarding nature preservation and ecology that I never thought I had in the first place. I learned a lot about decomposing and how the temperature affects the process itself; about the greenhouse effect; about corrosion, poisons, pesticides and other chemicals; about solid waste and the recycling process and other things related. Newspapers only scratch the surface, I needed more than that. After my first dumpster was an instant success, it gave me a boost to try and stay in the field. Today, after nearly 12 years, I am a proud leader of a designing team that gathers passionate young individuals. I am extremely glad to give back to society and Mother Nature and teach others how to do it. As someone who’s been working in the (dumpster) field for almost a decade now- saying that I’ve seen or done it all would be an overstatement. Living in a big city such as LA also definitely has its perks- a variety of choice and opportunities constantly gives you space to grow and experience new things. 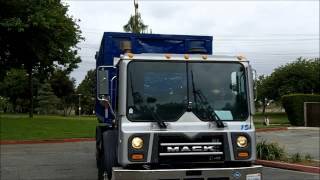 All of this may seem as an exaggeration, especially since most people are not familiar with the full extent of the services dumpster rentals provide. Dealing with individuals and companies is not the only thing we do- we are very much involved in communal work as well, and not only when it comes to collecting fallen leaves in the streets or litter after festivals and similar. For instance, we had a job that involved monument removal the other day- we don’t get a lot of hiring related to monument removals but it happens every now and then; we usually get hired when a monument or a part of it/ it’s facade is damaged beyond repair or during reconstruction and rarely for other reasons. Take in consideration that LA is a part of an area containing over 18 million people and over 120 historic- cultural monuments in downtown LA only- now imagine the rest not mentioned- it’s quite a lot to take care of. How does one pick the right deal? When it comes to removing debris, you always need to know what you’re working with; that way you know which dumpster to use and when. The regulations are strict and not to be violated- of course you don’t want to pay for any illegal activity and besides that, safety always comes first. 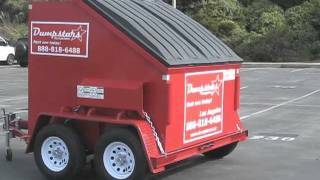 In this particular case, we used a 40 cubic yard roll off dumpster (the biggest one we offer), 20’ long x 8’’ wide x 8’’ tall. This type is usually used for larger construction work, home constructions or large clean out projects. The open top holds about 20 pickup truck loads. I would like to add that the dumpster removal was free of charge and completely up to us. I hope I succeeded in explaining a couple of things here. Ask a professional to help you when it comes to litter and debris removal. Follow the regulations and rules given. And last but not least- respect the environment. Earth is not just our friend- it is the only home we have. First of all, I wish to start with the fact that I spent my earliest childhood in the Midwest- mostly Kansas and Iowa, and later on we moved to the East Coast. To cut the story short, my family moved a lot due to my father’s job- these places were always rural areas, without exception, since my father is an agronomist. Why was this info important? To merely illustrate the reason behind my love towards nature. I have a deep respect for anything eco- friendly and it obviously goes back to my childhood. You know those annoying kids in school that give you a hard time when you – accidentally, of course!- drop a piece of paper somewhere it doesn’t belong? Well, I was one of those kids. However, somehow I always knew I want to experience the big city life, so I decided to move to LA, shortly after graduation. I got a nice job, met a nice girl and we decided to move in together. We found a house that suited our needs in the outskirts of the city. As nice as it was, it still needed some touch- ups and reconstruction work. Coming from small places (and smaller houses), I had no idea how we would deal with all the construction debris we would end up with. A friend of mine suggested a local dumpster rental service and saved me from further headaches. Since we mostly dealt with drywalls and similar, I rented a 20 yard container with inside dimensions of 254’’ by 42’’ (roughly 645 cm by 107 cm for those who prefer the metric system). You have to know that it is illegal to dump many pieces of waste into your regular container. Each of the containers you rent comes with different regulations as in what can go into it. If the company you hire is good, they will explain all of this to you. When it comes to the container I rented, it has to be underlined that you should never put municipal solid waste in it- which would be regular household trash, such as food leftovers or bagged trash from kitchen. Doing differently could result in fines and, more importantly, contamination. All of this was explained to us by the company we chose and that’s when we knew we made the right choice. The service itself cost us around $400 in total, flat rate, with the 7 day rental period, delivery fee and pickup fee all included. Renovating our home was a lot easier with the dumpster service. Less work for us and the workers we hired, and almost zero pollution, which was a major issue for us tree- huggers. I will no doubt use this service again if I ever decide to make other bigger changes in and/ or around the house. I will definitely recommend this solution to my friends, and I also recommend it to you.